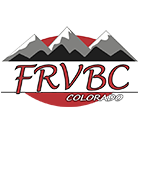 Shayla is a familiar face that returns to our gym, she began her club coaching career with FRVBC in 1999 as an assistant to Scarlet. Since then, she has lead or assisted several different teams with Front Range (13’s, 15’s and 18’s ) and Colorado Performance (16’s, 17’s and 18’s) through the years. She has lead two FRVBC Cardinal teams to junior national tournaments! Shayla graduated from University of Montana with a degree in Athletic Training, playing for 4 years as a Griz; then played some sand volleyball making an appearance in EVP and AVP Next tournaments. Shayla is currently working for CH2M part of the corporate safety team as the Ergonomic Program Lead and enjoys spending time outdoors with her family. She is returning as Assistant Coach of 12-1 Pink for the 2018-19 season.